Marie was fantastic! She checked in with us and everything went better than expected. We had children with us so we did the Pearl Harbor and city tour. I can't wait to go back to O'ahu and do the full photo tour. We got a sneak preview with a couple of iphone camera tips and we've been using them ever since! We did the Circle Island Tour with Marie and loved it. Marie is an excellent travel guide and terrific at explaining the Island sites and Hawaiian culture. She is informative, friendly, and respectful of our needs and desires. Marie is incredibly knowledgeable about Hawaiian history and shares that with her clients in an entertaining and educational manner. She helped us get the best possible photos of the sites we visited and was the best guide we have had in all of our travels. Our tour was terrific. Loved our tour with Marie. 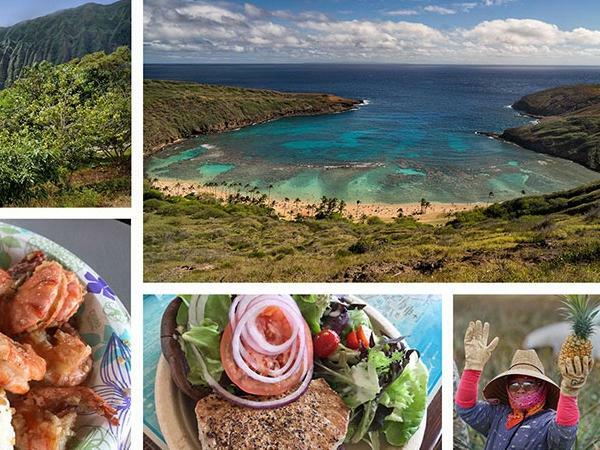 While this is advertised as a "food tour", we had read the description and realized it was actually a tour of the Island with some food stops included. 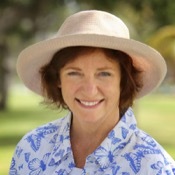 Marie is very knowledgeable about her home and loves Oahu, which is evident. While we had enjoyed our stay, after our day with Marie, we cannot wait to return to see more of the Island. We were able to visit some areas were would not have known about. Highly recommend spending time with Marie, both this tour or anyone she does. Our two tours with Marie in Oahu were terrific! Marie is knowledgeable, experienced, delightful, and personable. She is a wealth of information, presenting it all with clarity and passion. She is a perfect combination of historian, sociologist, environmentalist and lover of all living things. She was always aware of our comfort and is an excellent driver. Don't miss a tour with Marie! Marie's tour of Oahu exceeded our expectations. A delightful woman, an experienced tour guide and driver, she was extremely knowledgeable about Hawiian history, flora and fauna, marine mammals, and Oahu's breathtaking beaches. We loved her tour of Oahu! Marie gives an outstanding tour. I love that it is laid back and customized. We really enjoy local cuisine and she made sure we got to try a variety of dishes throughout the day. She intertwined sight seeing with history and food tasting. Also, we were fortunate that she gave us some tips on using our camera and taking pictures. I would certainly book with her again! We had 2 goals - learn a Canon EOS, and see sights in Oahu. Marie excelled at both, and queried us about specific wishes to tailor the 8 hrs. We learned history, and saw gorgeous sights, especially a drive into Kaneohe through verdant mountains to practice techniques at the Byodo-In Temple. I had the chance to capture images of a young man ocean cliff jumping. During each stop and between, Marie suggested methods to tell a story with photos, and I learned when to use what - eye opening for an amateur! Marie was a wonderful guide and was able to create a custom tour for our group of 6. She was very knowledgeable and flexible in order to accommodate our groups odd time schedule. I would highly recommend her. What a great day!!!! Marie was wonderful on picking us up and being flexible throughout the day on what she though we would like and what we talked about wanting to see. She was very knowledgeable about the entire Island and many historical stories to tell during the day. I am also in a wheelchair and she made the trip very accessible for a wheelchair guest!!! She also knew of other accessible events we could go to later. What a GREAT day!! It was one of the highlights of our trip!! Thank You Marie!! What a great day with Marie. She was knowledgeable,fun,and flexible. Marie tailored the day to our interests and introduced us to the best Hawaiian ice! Marie took us to see off the beaten path of touristy Hawaii but made sure to include the must sees. The day flew by! Marie did a great job showing our group around the island. Her knowledge of the islands and photography made our tour both enjoyable and interesting. Having a large van with great seating and large windows was perfect for our group of 6. Thanks Marie! If I could have rated this experience more than 5 stars I would. It was great value for money and Marie was a superb host. Informative, efficient, friendly and became a real friend as the day went on. Well organised, with tickets bought for us in advance. Her apprentice Erin was with us making it easy to know where to go and what to do. A flexible tour with lots of added extras, including lunch in a deli we would never have found on our own. I cannot recommend Marie highly enough, simply superb! Marie was an excellent and informative guide and accompanied us around all the sites. Although we had a whole day she advised us on the most significant sites and was patient as we took a long time lingering at this very special Memorial. A quick dash around the Old town and then left at a restaurant for supper before we boarded our International Flight. If we come back we will go on one of her photographic tours. What an incredible day we had with Marie T., our guide in Oahu. We spent the day touring the island and learning at each venue. Not only did she share this island with us, but she helped us plan the rest of our trip which was on Maui. She is intelligent, well traveled, articulate and comfortable with the three of us from the minute we met at the airport. I had never had a private guide for a day and will be forever grateful that she was the first of, hopefully, many in the future. Thank you. Marie was great and provided a very informative tour of Oahu. I can absolutely recommend Marie for a fun tour of the island. She is very knowledgeable and really gets involved with you on the day. Her being well known by the locals makes the tour feel like you have been friends for years, not just the day. She even added in some handy tips to get some fantastic photos. If you want a fun day out on this island, ask for Marie. Thanks. Marie was a fantastic guide for us. We're four adults, two generations. Marie was most informative, fun, and due to her background and love of the beauty of this island, took us to places we'd never have found. We were in awe of her knowledge of the history and even geographical history. We loved this tour, and it made our stay in Honolulu very memorable. Would highly recommend Marie T.
We loved our day with Marie at pearl harbor. She was amazing. Very accomodating and nothing was a problem. She is also very knowledgeable. Pearl harbor was a definate high light of out trip. We were on a cruise ship and booked Marie for a private tour. Marie was fantastic we loved her and very much enjoyed our day with her. Would recommend her most highly. Wow what a fantastic trip We did 2 days with Marie and she was amazing. Her local knowlege of history ect was great. Would highly recomend this tour with this wonderful host. We loved it and would book her again in a heartbeat. Mandy our guide, arrived promptly at the hotel pickup point and immediately it was obvious we were going to have an awesome day. True - it was absolutely awesome. Every part of the day was unrushed, full of excellent information and the scenery and views were out of this world. Lunch was great at the shrimp van too!! Mandy, thank you so much for being you and making this day so wonderful and special for us. It WAS an awesome day. Thanks Lucy & John, Rowena & Dave. The tour was fit perfectly for our family even with a 14 month old baby. Marie could accommodate everything we wanted to visit during the tour. And she talked about some history from the Island. Marie was fantastic, very accommodating, knowledgeable, nice vehicle an overall great day on Oahu! I would highly recommend Marie!! This was a great tour, and Marie was a awesome tour guide as well as teacher. Taught me a lot of stuff with camera that I used for rest of vacation and proboaly my life. Saw great places, wide variety of things. Just told her stuff i wanted and she was took me there. Thank you very much. Was a great tour. We had a fantastic time with Marie (&Emily). This was a great tour for children. Marie knows so much about the history of the island. She also showed me a few tricks on my camera to take better pictures. Can't wait to see the ones she too. Highly recommend this tour if you want to see the island in a day. Wonderful Day in Honolulu. We had a lovely day with Marie. We contacted Marie from the cruise ship after meeting another couple who wanted to join us for the Arizona tour. Throughout the day she was flexible and cheerful, handling delays due to loading my wheelchair cheerfully. She is knowledgeable, flexible, and has a nice sense of humor. We felt like we were traveling with a friend. Although she gave us considerable information we never felt lectured. We highly recommend Marie. She was very knowledgeable, personable and our group of 6 really enjoyed the day with her. We would highly recommend her for those who are interested in her services. TOUR GUIDE RESPONSE: Aloha Martha, It was great to meet you and your large family of friends. I'm glad to hear you enjoyed the Pearl Harbor tour with the bonus of going to the spectacular Pali Lookout. Yes, it's true you can go to Pearl Harbor on your own if you can get the tickets ahead of time which can be quite difficult or otherwise get up early and stand in line at 6:00am. They give out a limited amount of tickets at 7:00am every day. I hope you enjoyed your Hawaiian cruise. it was a pleasure having Marie as our guide. She was very knowledgeable of the history of all the places she took us to. The other five people on this tour and myself thoroughly enjoyed our day spent with Marie, I highly recommend Marie for a guide. We enjoyed our informative tour with Marie . . . she was on time arriving at ur hotel and getting us to Pearl Harbor and back on time. Very knowledge of the island's history and engaging with our adult children. Thank you Marie. My family had a wonderful time with Marie. Our day was marred by constant rain but she made the best use of time by engaging my kids in water-based activities. From tour guide, she turned into a snorkeling instructor, and jumped into the waters with my four kids. We had a mentally challenged daughter, and she went out of the way to teach her very patiently. My children had the fun of their life time, and she literally became part of the family. We strongly recommend Marie as a local tour guide. Choosing Marie as a local tour guide was the highlight of our vacation in Oahu. She was very knowledgeable and fully familiar with local history, traditions, and of course places. One of our daughters constantly engaged her in conversation, she was very patient, and answered every question to her and our satisfaction. The tour itself was awesome, and we saw the most scenic places on this earth. She even negotiated with local vendors to get us the best price. She took memorable pictures at the right time. Marie was a fantastic guide for the Best of Oahu Sightseeing tour. She picked our family up promptly at the airport and drove us straight to Pearl Harbor, where she had reserved Arizona Memorial tickets waiting for us. After the tour she began our sightseeing tour and took us to many beautiful beaches on the North Shore, down the East coast seeing some well-known sites as well beautiful sites off the beaten path. We felt right at home with Marie from the first minute and would highly recommend her. My experience was absolutely fantastic with Marie! This tour of Oahu was fantastic and Marie was such a knowledgeable guide. We went to places that were off the beaten path and her stories of the history of Oahu brought it all to life. I felt like I spent the day with one of my girlfriends. Marie accommodated my coffee habit, stopping when I needed to grab a cup and she knew how eager I was to see a Hawaiian Green Sea Turtle up close and she made it happen! This was one of the best days during my first ever trip to Hawaii. What a fabulous day! Highly recommended. Marie T. took us to "off the beaten path" spots with amazing views, picturesque landscapes and contrasting backdrops. She also shared with us informative background of the Hawaiian history and culture, and at the same time taught each of us tricks on how to effectively use your camera and take beautiful pictures. Indeed, pictures for us to relive our amazing adventure. Thanks Marie! We were three travelers, in our 60's, and we had booked our first trip to the Hawaiian Islands. We had waited this long to visit Oahu so we had heighten expectations that everything must be perfect. Our tour guide, Marie, exceeded our expectations. We chose the Food & Sightseeing tour. Marie drove a large roomy van that was very clean and afforded a great view of the sights. We started at Leonard's Bakery where we breakfasted on delicious malasadas. Then we drove up the coast. I would go again!